This is a beautiful Katana by the second generation Kanehiro, who worked from 1673 until 1716. It is signed "Hizen Kuni Ju Totomi Kami Kanehiro", is Ubu and he is the son of "Yamato Daijo Kanehiro". It is in best Japanese polish, measures 70.5 cm. 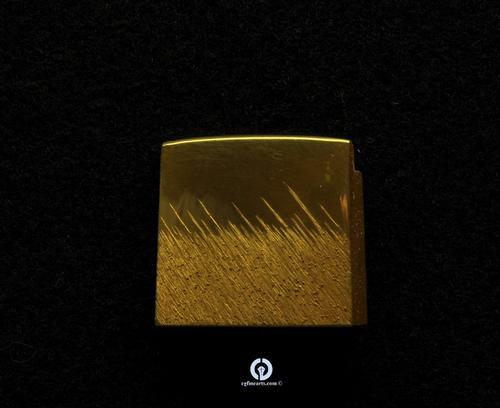 and bears a gold foil Koshi Yujyo Habaki made by Nakata Ikuo. 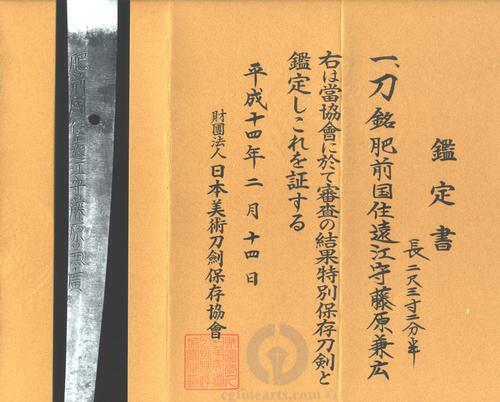 It has been awarded Tokubetsu Hozon status and the Good Shirasaya has a Sayagaki written by Tanobe Michihiro, late of the N.B.T.H.K..